Following Ang Lee’s second Best Directing win at the Academy Awards last night, this beautiful essay resurfaced. Here is my translation of Ang Lee’s words, written in 2006 (post-Oscar win). Please credit the translation to Irene Shih (and to this blog), thank you! In 1978, as I applied to study film at the University of Illinois, my father vehemently objected. He quoted me a statistic: ‘Every year, 50,000 performers compete for 200 available roles on Broadway.’ Against his advice, I boarded a flight to the U.S. This strained our relationship. In the two decades following, we exchanged less than a hundred phrases in conversation. Some years later, when I graduated film school, I came to comprehend my father’s concern. It was nearly unheard of for a Chinese newcomer to make it in the American film industry. Beginning in 1983, I struggled through six years of agonizing, hopeless uncertainty. Much of the time, I was helping film crews with their equipment or working as editor’s assistant, among other miscellaneous duties. My most painful experience involved shopping a screenplay at more than thirty different production companies, and being met with harsh rejection each time. That year, I turned 30. There’s an old Chinese saying: ‘At 30, one stands firm.’ Yet, I couldn’t even support myself. What could I do? Keep waiting, or give up my movie-making dream? My wife gave me invaluable support. My wife was my college classmate. She was a biology major, and after graduation, went to work for a small pharmaceutical research lab. Her income was terribly modest. At the time, we already had our elder son, Haan, to raise. To appease my own feelings of guilt, I took on all housework – cooking, cleaning, taking care of our son – in addition to reading, reviewing films and writing scripts. Every evening after preparing dinner, I would sit on the front steps with Haan, telling him stories as we waited for his mother – the heroic huntress – to come home with our sustenance (income). This kind of life felt rather undignified for a man. At one point, my in-laws gave their daughter (my wife) a sum of money, intended as start-up capital for me to open a Chinese restaurant – hoping that a business would help support my family. But my wife refused the money. When I found out about this exchange, I stayed up several nights and finally decided: This dream of mine is not meant to be. I must face reality. Afterward (and with a heavy heart), I enrolled in a computer course at a nearby community college. At a time when employment trumped all other considerations, it seemed that only a knowledge of computers could quickly make me employable. For the days that followed, I descended into malaise. My wife, noticing my unusual demeanor, discovered a schedule of classes tucked in my bag. She made no comment that night. And that dream of mine – drowned by demands of reality – came back to life. As my wife drove off, I took the class schedule out of my bag and slowly, deliberately tore it to pieces. And tossed it in the trash. And today, I’ve finally won that golden statue. I think my own perseverance and my wife’s immeasurable sacrifice have finally met their reward. And I am now more assured than ever before: I must continue making films. You see, I have this never-ending dream. Irene’s Note: If you liked Ang’s essay, you might also enjoy this older essay I wrote: A Dream Deferred (Link). This is so beautiful. I am crying. This is the compassion and humility that make Ang such a tender, insightful filmmaker. And the wife that shows him the love to make it all possible. I am so grateful for this translation. Thank you!!! The story is really inspiring. I am cry, too. I think so too. In our china ,there is a saying “Where there is a will, there is a way”. His story moved me deeply and motivated me to fight for my dream. He is my good example! only by keeping up your dream, can your dream come ture. Life without dreams is poor, confused, and anxious. Ang Lee met the man of his life – his wife, who kept Ang Lee dreaming, and finally let him succeed in getting the gold man. I don’t know if I have any noble people, but I have at least my parents. I don’t know if my dreams are great, but I know I have a dream. It’s only small. I just want to make myself independent in society. We should try our best to make our dream come ture. Yes.I was extremely impressed by the love between Ang Lee and his wife.Where there’s a will,there’s a way. The story shows that we should do everything we can to do everything. He give me power to run for my dream ,and also tell me chinese are all powerful, I can not wait to share to my friends . l have seen the film directed by him called Life of Pi.It’s excellent.l think it is a good choice that he revested in the film business.l hope him can make more great movie. The director of a successful, in addition to his own talent, also cannot leave his persistence. Ang lee is lucky, when he hesitated Get his wife’s encouragement. I felt the story too, and he made me believe that i had to stick to my dream. One can not casually succeed, and if you want to succeed, you must learn to persevere.In life, we will encounter many setbacks, but we can not easily give up. Behind Ang Lee’s success was his wife’s credit.His story is so moving that we can learn his spirit of persistence. As the saying goes behind a successful man there is a virtuous wife.The important reasons why Ang Lee could achieve such a great achievement is that his wife gave him a strong hand.Of course,this is also related to his unremitting efforts.It was because he had a dream that he could spare no effort to chase his dream and finally succeed.Ang Lee set a good example to us,so we should learn from him on the way of our life! Ang Lee’s story inspired me. His story told me not to give up my dream easily. What’s more, What touched me wa his wife. She didn’t leave him when he was down. Make him sick to his dream. Have a dream; and do your best to realize it. Know that we all have two choices: Either we do nothing and give into procrastination, or westart chasing our dreams, our visions, our ideas. I think what you said is correct. Thank you so much for sharing. It teared me up. Me too. I think I need to print this out somewhere so I can read it all the time. He’s really talented, but he doesn’t recognize his country. It’s the principle of being a man! Great translation for an inspirational essay. Thank you for sharing. I quite agree with your statement that it was translated nicely. I also think that the translation of this article is very good, there are a lot of knowledge, we should learn these sentences can impress us like English. I can’t wait to share this. Ironically, I’m working on a piece right now for the University of Illinois alumni magazine. Do you have a Twitter handle so I can send my three followers here? In the second paragraph you write “Taiwanese newcomer” but in his original essay, he says “Hua Ren” which translates to “Chinese people”. Are you getting political on us? David: Ang Lee has historically identified himself as Taiwanese, so I’m respecting the spirit of what he likely meant to say – which is that he sees himself as a Taiwanese filmmaker. I wouldn’t label it a political move. Instead, it’s a reasonable interpretation, grounded in knowledge of my subject. Thanks for translating and sharing this. I remember reading about this in his autobiographical book a few years back. Regarding this sentence though, it’s not a reasonable interpretation. Ang has historically id’ed himself as first and foremost — Chinese. Here he explicitly wrote “Chinese person / person of Chinese descent” instead of “Taiwanese newcomer”. i’m second generation malaysia born chinese. i refer to myself as hua ren which i meant it to be understood as ethnic chinese, and not the nationality chinese. i dare say, many chinese born or naturalised outside china, refers to themselves as hua ren too, and like me they meant ethnic chinese, and rightfully so. we are not zhong guo ren (china person, ie. chinese the nationality), we are hua ren. ethnicity and nationality are not the same, .. obviously. “Hua Ren” is actually an ambiguous word; it is just like the word “European”, represents a great sum of people with “close” and “similar” cultures of a region but from different countries or ethnicity. Taiwanese may not be a good example due to the complicate political status with China, but indeed you will still heard some Singaporeans, Malaysians, or Indonesians tell you that they are a “Chinese”. However, when they are saying that, most of the time they are not referring “Chinese” as the sense of people form a state, but rather as a culture, just like what “European” means. Sometime we hate to use this word because the translation to “Chinese people” would easily make readers confused, but sadly there isn’t any word in English could perfectly match to the word “Hua Ren”. Western, or maybe I should say in English language, is always not that accurate when we try to use it as a medium to describe our eastern/Asian culture. I have always thought that “Hua Ren” refers to Chinese from mainland China and “Hua Jiao” refers to oversea born Chinese. Hence people from Malaysia, Indonesia, Singapore or anyone born outside of China or Taiwan are refers to as “Hua Jiao”. Which means that they may be of Chinese ethnicity but culturally, they are different from the mainland Chinese. Many Indonesian or Philippines “Hua JIao” can’t speak a word of Chinese and can only speak the Indonesian or Tagalog dialects. Yes,he is a perpect director. Thanks for so much for this! The more I learn about Lee Ang and his wife, the more I respect and admire them. yeah, i agree with your point of view. It is very important to be supported in times of difficulty. Me too, in my opinio, dreams can make us strong.Everyone has great dreams! Have the courage there will be a miracle. Ang lee is a excellent director,although I did not dare to do so Ang lee,when i hear that he wins the Oscar best Director award by life of pi.I watch the movie and Love it very much.Ang lee’s quest for dreams gave me a lot of feelings. 2. The idea of “waiting” is critical to “我經過了六年的漫長而無望的等待”. “I struggled through six years of agonizing, hopeless uncertainty” is beautiful, but I wonder if there’s a way to further highlight the idea that this was a period of “waiting”, with no end in sight. 3. “因為，我心裡永遠有一個關於電影的夢.”- The translation “You see, I have this never-ending dream” is missing the key word “movie”/”film”. The notion of this being not just any dream but Ang Lee’s “movie dream”- which is highly specific- strikes me as critical. This same omission also occurred earlier. I hope this is remotely useful! Thanks again for sharing this with the world. 2. I’m keeping this one the way it is, because the perfect translation for 漫長而無望的等待 doesn’t quite exist. The closest to translating that idea is to say that this time period was uncertain. So, I think emphasizing the agonizing uncertainty more closely captures the spirit of that sentence. ‘Waiting’ carries a milder connotation. 3. I cut out the “film” part of that last sentence deliberately, to keep the essay poetic and spare. By the time we reach that last sentence, it’s quite clear what his dream is. To reinforce that it’s a moviemaking dream would seem superfluous, even if it sticks more closely to the exact words on the page. Ang’s essay reads rather poetically in Chinese, and so my task was to translate his poetry such that it still feels poetic in English. Thanks again for the thoughtful feedback. the waiting and the company of his wife，Ang Lee pursued his dreams successfully. I agree with you!I also admire someone who has dream and insisted to realize it. The person just like Lee An. Thanks again for sharing this beautiful essay and for your equally beautiful translation. Thanks, Gene! I really appreciate it – your kind words and generous assistance. I went back to tweak the preceding sentence. so beautiful!!! one reason why I love Ang Lee is his humility in the face of the rare success he enjoys. and that’s what makes him even more inspiring. thank you for sharing. I love everyone who is modest. I think humility is the one of the most important factor in success. Lee has got his success, but he also is still himself. I agree with you! it’s important for every to be modest everytime, even if you have succeed. modesty can help you become better and better. 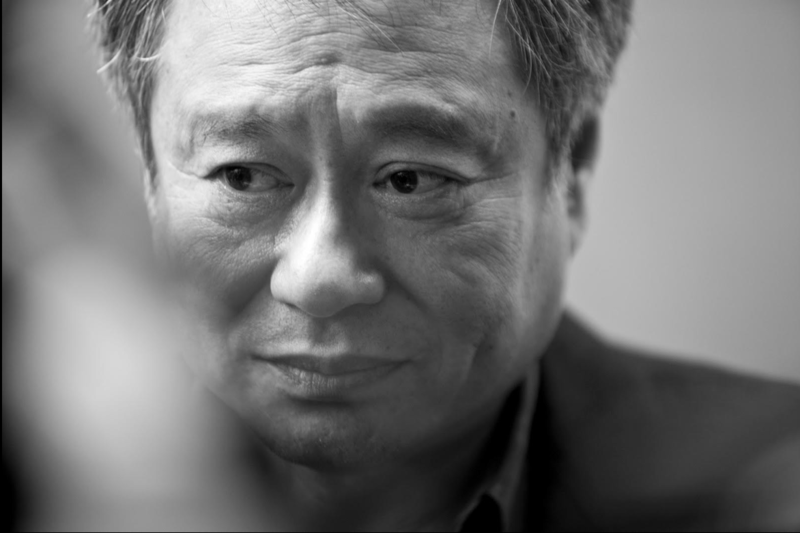 Thank you so much for translating this wonderful essay of Ang Lee. I will share it with my English speaking friends and students. This is beautiful and so inspiring. Thank you for sharing. You made my day! Regardless of the nation of Ang Lee,his story are able to inspire us and bring us courage to insist our dream.He made me believe that where there is a will,there is a way. Your comment is wonderful! We should dare to pursue our dreams.Let us together! And yes, I almost cried. Gives me strength. Thank you once again! thank you for the translation. this is beautiful. Ang Lee’s a remarkable director, and this is a beautiful essay. Thank you, thank you. I hope you’ll get more readers, because this deserves to be known to all. Good translation enables people from different places to recognize more famous people. I also think this article is great. Ang Lee is a great director. It’s always the dreams that matter. Thank u so much for this !!! Made my day.. Really Inspiring ! Respect..
Hi minhwa, thanks for reading! I haven’t found any audio version of this essay, but will certainly post it if I do. minhua, if you don’t have Chinese text to audio software available you can use http://translate.google.com and have it read it out for you. Copy and paste the Chinese text in there, then at the bottom of the text area look for the little “speaker” icon and click on that. Google translate has automatic conversion to pinyin below the input area as well, in case that helps. how abt you recording one? 🙂 youtube it! Reblogged this on Outside the Margin. Great to have read it, and I certainly have shared it with my “f” book mates. Never underestimate the power of brave attempts.He is our her. Irene, thanks for being so open to feedback and again, translating this for everyone to share. The beautiful thing about this essay is that it’s a dream that is shared by all people regardless of where they are from. David: Of course! I appreciate your feedback, and hope you continue to peruse other posts on my blog as well. My dream – not unlike Ang’s – is to be a writer. I hope his story will give all of us the courage to give our own gifts a chance. Great translations and great that you took some suggestions from people’s comments to make it more true to Lee’s writing. Just wanted to point out a few rather minor things. 1. Hundreds words sound wrong but “a hundred phrases in conversation” doesn’t sound right either. Maybe a verbatim translation word for word for “近二十年間和我說的話不超過一百句” just didn’t work here. 2. “My wife was my COLLEGE CLASSMATE” A better translation is “My wife was my schoolmate in University of Illinois at Urbana-Champaign). First, 大學同學doesn’t always mean classmate in Chinese; in this context it’s more schoolmate than classmate. His wife Jane Lin, at the time a student from Taiwan, was pursuing her biology PhD degree at UIUC. I doubted Ang (majoring in theatre) ever took the same class with her. Second, Lee said 大學/university I believe in part because he was completing his undergraduate university degree at UIUC. (He had a 3-year college degree in Taiwan and got his BA at UIUC). 3. His eldest son’s name is Haan, not Han. Han is a direct translation but not the name Lee gave to his son. 4.“At one point, my in-laws gave THEIR DAUGHTER (MY WIFE) a sum of money”. Why not just “At one point, my in-laws gave MY WIFE a sum of money” Their daughter (my wife) seemed redundant. 5. Third paragraph from the bottom: Recalling earlier times, my wife CONFESSED, ‘I’ve always believed that YOU ONLY NEED ONE GIFT. 重提舊事 isn’t quite the same as confessed (to me anyway). Also It seem the translation isn’t complete. One gift for what? I felt that by “人只要有一項長處就足夠了”, she meant you only one gift to succeed or to stand out in the crowd. 6. The title of the article 十年一覺電影夢 wasn’t translated. Because it wasn’t, it made any reference of dreams in the essay sound less poignant. For example the last sentence “You see, I have this never-ending dream.” could have been more emotionally powerful if the title is translated or the last sentence is edited: “You see, I have this never-ending dream IN FILM MAKING”. Anyhow the essence of this essay is about his never ending dream in film making. It’s a great translation. Just some suggestions to hope to make it better as I wish more people can read the English translation about the back story before he became famous. 1. I’ve decided to keep this the way it is – I do think the “hundred phrases” part is key to illustrating (with specificity) just how strained that relationship was. I agree that this translation can’t hope to mimic the original text, but I don’t want to throw the baby out with the bathwater. 2. Schoolmate, I think, gets even farther from classmate. It’s pretty typical in the U.S. to say someone is your college classmate even if you never attended class together. Schoolmate has more of a boarding school connotation. 3. I will edit that, thank you. 4. In-laws aren’t always the parents of your wife. They could be her siblings or some other relative. So I do think it’s important to stress that they were her parents. Additionally, I find it poignant to emphasize that they were giving this money out of love and concern for a daughter. The money was an expression of parental love, so it’s important to emphasize that this exchange was between parent and child. Jane Lin is more than just Ang’s wife. She is someone’s daughter, too. 5. Again, “confessed” is to add to the poignancy of that passage. It places emphasis on the fact that she had never said that to him before. I think it’s appropriate. “You only need one gift to succeed or stand out” sounds cumbersome to me. I think “you only need one gift” delivers the same message without the burden of too much specificity. 6. I think it’s quite clear what his dream is, don’t you? Specificity is important when it serves an otherwise unaddressed purpose. His ‘filmmaking’ dream is not an unaddressed point. To hammer that ‘filmmaking’ part home feels heavy-handed to me. Again, thanks for your feedback. Your thoughtful suggestions were an important viewpoint to entertain, even if I didn’t end up employing all of them. The first gift Ang-Lee received was his wife. You have to be very lucky to find someone that love you so much that she supports you while you are going through tough times. So true. Having such a supportive and loving wife is such a wonderful thing. I think what you’re saying is very good luck for ang lee and each of us is going to be confident about the future because we will eventually meet the person who will be with us all the way. Thanks so much for the translation. Will share it with my friends. Seems you grew up in US, how did you learn to read Chinese? (Speaking is much easier with Chinese speaking parents at home). I grew up in the U.S., but my parents insisted on a bilingual education for me. I spoke only Mandarin at home, and was in Chinese school for 12 years. this is so inspiring for the people who have lost hope and are giving up their dreams due to the fact that others come along to crush every bit of confidence in you. well done Ang Lee and thank you for sharing this article with me. it has shown some light of hope and inspired courage. fate helps those who help themselves. Lee Ann had once said that”I must say a word about fear. It is life’s only true opponent. Only fear can defeat life.”in his film. It inspired me when I was most confused, and gave me the impetus to move forward. Shih, thank you so much for this beautiful translation and for making Ang Lee’s words available like this. I stumbled upon this completely by chance, but it has transformed my day (and many more to come–what a gift!). you’re right,He deserves to have these achievements. It made me tear up. Next step: Trying to read the original Chinese text! It’ll only take a couple weeks. Thank you for the translated version. He’s a good director with amazing stories to tell. It is so beautiful, touching and inspirational. Thanks so the translation, it is indeed a peotic essay. This inspiring story shows us that a person of this background also can reach the top of the world. Thank you to post the essay.. it’s indeed inspiring en encouraging.. It also gives me a lot of encouragement,we need have a dream and never giver up.l think we can realize our dream in the future. This is a beautiful translation of his essay and I love that while it’s not always an exact translation, you’ve captured the essence of what was written in poetic/lyrical way. I believe that in everyone, their is a dream. The ‘Dream’ is your essence, your passion that your creator put in you. To pursue anything else, whether it be money, fame, conquest..it’s a waste. Never give up on your Dreams! It is what defines you! I think so.Whatever we are pursue,we all need patience . I think so. I’ve always believed that people will be great for their dreams. We should brave to pursue. Become extraordinary by dreams. thank you for the translation, this story is so beautiful. going to share it. thank you for translating this story. it is so beautiful. going to share it. February is ending and March is just beginning. Time never seems to stop – but of course, it shouldn’t – what I really meant was how sometimes it just whizzes pass you. There’s no pause. It just drags you and you end up lost in its pace. It’s easy to get lost. Often, I lose sight of what I want and most of the time, I don’t know what my dreams are anymore. Or maybe, I do but they’ve become an illusion of sandcastles. You know what it is but it’s so transparent that it doesn’t seem like it’ll ever be solid. Which brings me to this point. For the past few days, I seem to be stumbling upon inspirations, like a sign from a God. A gentle nudge. A reminder. And this is one of it. This is a reminder to me, and to everyone out there. Thank you for this beautiful piece – for translating it, and for sharing it. I think this inspirational message to follow your dream and work on something you love, is critically important. If more of us could do it, the world will definitely become a happier place. From my point of view,under no circumstance should we give up our dream.It is the way we must choose.Nietzsche said‘A person who knows why to live can bear any how to live’.This is my favourite sentence.Consequently,we should hold on forever. Some of the translations were great, some awkward in your choice of words. But it’s better than no translation that’s for sure. I agreed with Sol. Classmate is very specific referring to people who attend the same class and shouldn’t be used in this context. A (college) classmate means someone you take the same class with (in college) and a schoolmate is someone who attends the same school that you attend. The two words are not interchangeable. In English we say we go to the same school/university, or we are both class of 2006 (meaning we graduated the same year 2006). None of them can infer we’ve taken the same class or in the same class room. By saying she was a college classmate, you are suggesting they have taken the same class in college. Also I agree with Gene and Sol, you shouldn’t omit the words “movie/film” or “film making” in your translation. That’s the key of Ang’s article. Ang Lee has a dream and the dream in movie making and how he never gave up the dream. It’s inferred in the translated text but the original writing is quite explicit spelling it out and it’s strange you insist omitting it. Otherwise a good translation overall. He was referring to the fixed cost of the visual effects industry being very high to begin with? He said he was sad the company filed for bankruptcy. Thanks for the translation. This helped me find the final piece… of a life puzzle. I have put together my essay about the puzzle on my blog at http://www.screenedinnocence.com/2013/02/spring-chasing.html. Once again, thank you! So inspirational, thanks for the translation! I love hearing about Ang following his passion despite the discouragement of his father and also about his wife’s powerful support over the years. It often seems (as in the case of Ang almost giving up and studying computers) that temporary hardship and discouragement is very nearly followed by the realization of one’s dreams and ambitions through unwavering faith and persistance. Beautiful post, thanks Shih! I LOVED EVERY BIT OF IT. inspirational because every one of us struggle in life in order to fulfil our dreams. There comes a time when we see it all shattered in front of our eyes, but stories of people like Ang Lee are here to inspire us and keep us going. Pingback: Japan World: a Sidenote Story | Nihonfun: cat cafes, photobombs, and, "is that a rock?" Irene, I wanted to applaud your careful, considered responses to well-intended grammarians. Bravo! thank you so much for translating this!!! Sheer perseverance it is amazing. Irene, many many thanks for this beautiful piece and translation. For bringing it to all our attention. Thanks a ton for the beautiful post and translation. It really is a message that is of such critical importance. And as I see from the many responses from across the world, it looks like many of us are searching for that path that we belong to. For those of us who have found it, or think we have, we wonder if we have the courage to tread upon it. Hope this message inspires many many people and encourages them to follow their dreams. Hey, I’m just curious where do you get the original chinese note from? Can you cite the source? because whenever i google, all the search results are pretty much copy & paste without citing the source. This is beautiful. Thank you for translating it! This is probably one of the most beautiful things I’ve read in a while… Thank you for posting this. Thanks for translation and posting. Very inspiring. I have the same feeling.After reading his article，I know that success is not easy to achieve.We are supposed to stick to our dreams. It is not easy to do what we like, which requires us to make efforts to overcome difficulties and, above all, to follow our hearts and persevere. Ang lee deserves all of us to learn from him. Everyone have their own dream. If you don’t fight for it, you can’t achieve your dream definitely. This is so sweet. I don’t know Richard Bach probably wrote of kingfisher wherein the female one carries the male on long voyage. One is always lucky t have such companion. Thank you for your effort to translate this inspiring essay. You did a fantastic job. I posted it on my blogs- http://loveneverending.com/?p=3848 for English readers and 零極限 Zero Limits(124):李安-一個永無止境的夢本文有影音 for Chinese readers. Irene, thanks for translating it so more people can read this beautiful essay. I think Ang Lee’s life and the love story between him and his wife should be made into a movie. It is inspiring. Out of all the film directors, Ang is one of the few male directors who always show a sensitivity toward the women in his film. It’s obvious that his wife is a huge influence. I love that his wife wore a tuxedo rather than a gown at the Oscar. She also keeps her own name “Jane Lin”. She’s no Mrs. Ang Lee. It’s an equal partnership. Actually I get the sense she wears the pants in that family and Ang seems to be perfectly happy with that. I literally cried reading this article. What a man. all deserve a better life. What an inspiring article? Dreams are meant to be realized. It has come true in Ang Lee’s life. There are many more who have achieved their dreams against all hardships because of their focused attitude. Surely there will be a person to support to attain the dream like Ang Lee’s wife in his life. This is the best birthday gift ever. I love reading his Essay. So inspiring. Thank you for translating! a very easy on the eyes which makes it much more enjoyable for me to come here and visit more often. Pingback: Ang Lee: A Never-Ending Dream | Wilson K.
Irene, proud to be a Chinese descendente (Peruvian-Chinese-American), I Don’t speak Cantonese, just my Dad did. But I know some Chinese words. What a beautiful & inspiring essay. Thank you so much, for sharing this story. I was deeply inspired by your post and so I have added into my site provided all credit to you and your website. I have given back link to this page and also to your about page. If you have any objection regarding this, please drop a mail to me. No problem, Chris! Thanks for sharing. This text just went on my fridge! It will be part of the inspiring pictures and mementos I have there that help me stay on track towards the dream of mine… Thanks so much for sharing! My sister sent me here! 😀 I’m getting married next month and I want to be Ang Lee’s wife. 🙂 What an inspiring personification of what a true partnership is really about! we need a director who pursues dream and remember own original intention. Ang Lee is such director! Go your own way and let others talk. I hope everyone can not forget the first heart, to pursue their own dream. I admire Ang Lee for such a big success in Hollywood and being proud of his Chinese Heritage. In fact I have been asking Chinese to be proud of their Chinese identity and stop using English names instead of their Chinese name which will identify them as pure Chinese. We are no longer under the English colonial rule. It is also very surprising that Ang Lee has not mentioned how he feels for his father at the moment. What his father did was for Ang Lee’s sake and well being by just advising him of the most likely outcome even using statistic. His father just wants the best for him. It shows his father really cares for him and loves him. Family to the Chinese is very important mainly through Confucius teaching. Chinese parents go all out to care for their children. I am sure Ang Lee’s father will be very proud of his exceptional success even though he did not follow his father’s advice then. Ang Lee is also very lucky to have such a nice supportive wife which I really admire her for her part. Ang Lee is without doubt one of the most talented person I have come across and make us Chinese proud. The lesson on this is, be rebellious to your father and find a good lifetime partner. Lack of either one, Ang will be nobody today. He has a good lifetime partner to support him and his job. Very Nice Article. Thanks for Sharing. I will keep up my dreams. I agree with you ， when read his speech, I believe that I can fulfill my dream, but I also admire his perseverance，he is my role model. Great web site you have got here.. It’s hard to find high-quality writing like yours nowadays. I truly appreciate people like you! Take care!! Nowadays,people more and more like to find knowledge in Internet ,but it have numerous message lack of the facticity.I hope that writer can have high-quality writing. Pingback: 19 Late-Blooming Artists Who Prove It’s Never Too Late | シ最愛遲到.! Irene, thank you so much for this important translation. I will share it! I am a life and leadership coach and help people follow their dreams. This message is so important for people to hear, especially Asian American youth today! Thanks again! Cheers! Yes,I also thanks for the translation of the author, let the world know more about Ang Lee, my favorite director. so happy that this world has a Ang Lee! Indeed , almost everyone praise his insistence . But what i want to say is that he has a good wife. I quite agree with you! Ang Lee created many wonderful films that people loved and we not only can learn a lot from his film but also be convinced by his will to chase his dream. From that , I had known Do not give up our dream easily, all the success is hard won. I hold the same view.Personal, only when we persist can we realize our dream. The translation is quite well. I learn from the blog that life may be hard but we can’t lose our dream. Ang Lee’s story can give us a great impression.Sometimes,these kind of story can make us inspired. He has a talent in making films. he is a good director and he told us that where there is a dream. there is no absolute justice in the world, and fairness is relative。Men and women themselves differ in their physical structures。So,i don’t agree with you. Ang Lee, as a director, is undoubtedly a success, I hope he will be able to export more and better movies. he is a perfect director ，I have watched his movies, it make me moved! Ang lee is a very good director. We should learn his spirit of not giving up. His success lies in the failure of his honest ,he never tried to use the subsequent achievements to erase the previous failure . His films are praised to break the boundary between the east and the west. The reason that he crossed the fence beween the culture and the race is that his thinking is based on the human nature . At the same time , the human nature is never overcome by time and space! I think so.Ang lee is a man who never gives up. The hardship of life almost gave him the right to give up his dream, but he persisted and eventually succeeded. Early hardships to his understanding of the film has a unique, his thinking of people in the film is based on human nature itself, and human nature never limited by time and space. His film broke the boundary between east and west, and widely recognized. I think so. And I like his movie which is called duan bei shan. I like director Ang Lee very much. The film Brokeback Mountain that he directed is my favorite movie,too. Embarrassed. “Brokeback mountain” is the only film I have ever seen. But in today’s society we have less heart is not the pure. We consider ourselves how much is from the heart of our secular about any decision the first consideration is the social identity of the ordinary people is with Ang Lee? Yes .Ang lee is a great director that directed many fantastic movies .And he is full of passion and dreams .We should learn his spirit .Whatever happens ，we should insist on our dreams . He is extremely perfect.And I really want love his movies. His succes lies in his holding on to your dream.I admire him very much.He is my role model. I can’t agree with you more.Our dreams may not come true in a short time,but if you can insist on,success will knock at your door snooer or later. yes,Ang Lee is a admirable director .We can learn more and more knowledge from his moives. I have seen some of his films, Ang Lee is a very good director, and all the experiences in his life make his films more perfect, just as we never give up our dreams, and now the difficulties in our life will make us more successful in the future! As for me , i assumed that there is no doubt that there is no return without giving ! To strive, to seek, to find, and not to yield ! he is a perfect director,we should insist in our dream,one day it will come true. Yes,we should have our own dream like ang Lee,and never give u, the dream will come true. I agree with you. Without dream is no hope, it makes us confused. If we have dream,we will have goals. If so, things will be easy. To be better, you had better have a dream. Yeah.Today,the peple all over the world thatwe should keep our hearts and ever ,never giveup. Maybe we’ve made some decisions that our families don’t approve of, but as long as we embrace our passion, I’ve always believed that miracles can happen to those who have always worked hard for their dreams. Never give up!Encouragement is very important! I think the dream is to insist, one dream will always encounter various obstacles on the way, only one against all odds, pursue the dream of the road, to reach the final point. Although Ang Lee met with many practical obstacles, his wife always supported him, and eventually he succeeded unremittingly. Everyone should have a dream, and then work hard to make it closer. In the process of pursuing your dreams, you are full of thorns. You can’t give up your heart at last because of your lack of pride. When you want to give up, think of what it was for. he is a good director andhe told us that where there is a dream. Ang Lee is the honor of Chinese directors,he directed movies not only meet the taste of chinese but also many foreigners.And the articles of the movies are various. I think so,hope we can do anything we want.